The CB-1® Weight Gain Program was designed for skinny men trying to reach a normal body weight and normal men seeking to gain size. 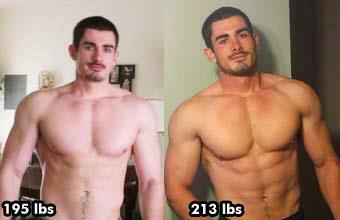 Men commonly struggle to gain weight because of a weak appetite and a fast metabolism. Teenage boys have notoriously fast metabolisms, while a lack of appetite is common in older men. Sports, active work and hobbies burn even more calories, compounding the problem. It's not easy being a skinny male in our society. The CB-1® Weight Gain Program was designed to quickly and effectively increase body weight in men, supporting gains in muscle mass and strength in both teenagers and adults. 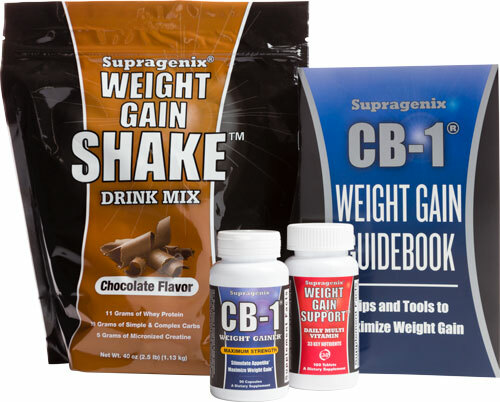 The CB-1® Weight Gain Program addresses weight gain at the source of the problem. In many sports, such as football, rugby, baseball, MMA, boxing, bodybuilding, and powerlifting, body weight is an important consideration. CB-1® does not contain any banned substances and is guaranteed safe for sports.